Most businesses operate on a calendar year basis that begins on January 1 and ends on December 31. It's straightforward, matches the owner's personal record keeping, and may be required by the IRS under certain circumstances. A company that wants to adopt a fiscal year for a seasonal business will need to consistently maintain its books and records and report income and expenses using the time period adopted. But first and foremost, it's important to consult a tax advisor to determine if the business is allowed to switch its year end under the tax rules and whether doing so is worth the extra effort. Every business has some degree of ups and downs during the year. But cash flow fluctuations are much more intense for seasonal businesses. So, it's important to understand a seasonal business's operating cycle to anticipate and minimize shortfalls. The company's operating cycle starts when customers place orders in the fall — nine months ahead of its peak selling season. The company begins amassing product in the fall but curtails operations in the winter. In late February, when the thaw begins for most of the country, product accumulation continues, with most shipments going out in April. At this point, a lot of cash has flowed out of the company to pay operating expenses, such as utilities, salaries, raw materials costs and shipping expenses. But cash doesn't start flowing into the company's checking account until customers pay their bills around June. Then, the company counts inventory, pays all remaining expenses and starts preparing for the next year. Its strategic selling window — which will determine whether the business succeeds or fails — lasts a mere eight weeks. Who's the company's typical customer? What's the best way to reach that customer base? In the example of the lawn-and-garden distributor, customers place orders in the fall. So, an end-of-summer "early bird" discount program, communicated via an email campaign in September and paper inserts with customer invoices in May, might entice customers to place orders early — and choose that company over its competitors. Seasonal businesses that market to consumers increasingly turn to social media to generate sales. Customers who follow a business on Facebook or LinkedIn provide a narrow target audience, and social media posts can be cheap and relatively simple to generate. For example, a summer camp sent personalized "Happy Birthday" messages to last year's campers throughout the year. These posts were viewed by all of the campers' Facebook friends, many of whom could be potential new campers next summer. More important, the company's owner should draft a formal business plan that includes financial projections for the next year. Some companies even project financial results for three to five years into the future. 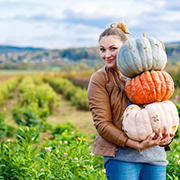 Seasonal business owners can't rely on gut instinct. They need to develop budgets, systems, processes and procedures ahead of the peak season. Without a line of credit, a business that has severe fluctuations might not have enough working capital to make it through the operating cycle. If there's insufficient money to pay suppliers, they could stop delivering materials. If the employees aren't paid, they're unlikely to report for work. If the weather doesn't cooperate, revenues might fall short of the business plan. The line of credit is a solid backup plan. If one lender turns down an application for a line of credit, a smart business owner will find out why, remedy any shortcomings and try again. So it's a good strategy for an employer to build a pool of part-time workers that it can draw on year after year, such as an ice cream shop or a day camp that hires teachers to work during the summer. Also, part-timers should be treated with the same respect as full-timers. A positive work environment will lower turnover, improve morale and increase the likelihood that people will come back to work for the business again. Employers may want to consider offering financial incentives to employees who refer friends and family members for part-time positions. Remember, most of the same labor laws regarding such issues as harassment, discrimination, child labor, minimum wages, and workplace health and safety apply to all workers, both seasonal and full-time. It's still necessary to withhold taxes just as for regular employees and pay overtime for nonexempt employees. Seasonal workers also may affect a company's headcount under the Affordable Care Act. And, if a seasonal worker exceeds an average of 30 hours per week, large businesses may be required to provide health insurance coverage for them and their children during the months they're employed. Typically, full-time employment is measured month-to-month. But some large companies avoid providing health insurance benefits for part-timers by electing a measurement period longer than one month or adopting a 90-day waiting period for eligibility. Many seasonal businesses struggle during the operating cycle, and some owners can't resist the urge to spend their windfall, rather than saving it for the next operating cycle. Financial advisors can help manage seasonal fluctuations and the unique challenges they present.